When you look at your membership recruitment strategy, my question always is, "Have you empowered your members and especially your suppliers with the tools needed for them to communicate your story to non-members?" Many think that just telling a member to call 3 or 4 of his "buddies" in the industry and say, "Hey, you should join because I think it's a good thing" gets the job done. NOT IN TODAY'S membership environment. Or pressing your staff to recruit 10% more members this year when they don't believe in your value proposition isn't going to work either. If you are going to be successful in new member recruitment, it is imperative you have "the tool" that communicates the power, passion and excitement of belonging to your association. This tool should be used by every volunteer, supplier and staff member. That tool is a "VIDEO." Having a membership video that is more than members just saying things in the camera and more than just sharing your benefits is crucial to inspiring non-members to join. YOUR VIDEO NEEDS TO BE LIKE A MOVIE TRAILER THAT COMPELS THE NON-MEMBER TO GRAB HIS PEN AND SAY, "WHERE'S MY CHECKBOOK, I NEED TO JOIN THIS GROUP." Having a video as a tool allows your suppliers to easily forward your membership recruitment piece to all of their customers. A video makes it easy for a volunteer or board member to send the video to his colleagues and say, "I would like you to watch this video and I will call you in 5 minutes." If the video is great, the only question your volunteer needs to ask is.. "So why wouldn't you join with us?" I'm writing this blog today to encourage every association to get outside your thinking and construct a professionally produced video that is inspiring, motivating, shows off your members and displays the power and presence of your association. The Metal Treating Institute just launched its new membership recruitment video and it has already after first viewing got our board all fired up about membership in 2014. It quickly reminded them the power they have collectively than individually. I feel a fire burning in our volunteers that is going to push our membership recruitment to the next level. Seek to find the right message, music and mission in a video that will engage your non-members to become members. 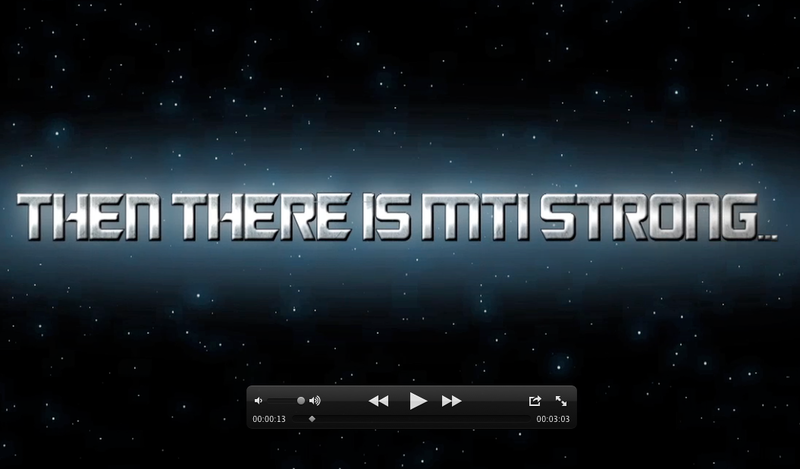 CLICK the video at the bottom of this post to view MTI's new membership recruitment video. Remember... No matter what industry you are in, we are all much stronger together than separately.